Local HomeSmart Success real estate agent Brian Petersheim has teamed up with highly acclaimed local mortgage lender Rudy Benitez of Annie-Mac mortgage and Stacey Cyr of Pioneer Title agency to offer 100 visitors to their booth at this weekend’s Salsa Festival a certificate good for a $1,000 credit at closing when they use Brian Petersheim as their agent to buy or sell a home. In addition to the $1,000 certificates, the real estate trio is holding a contest at the booth with the grand prize a 50-inch TV. The booth is the Brian Petersheim – Homesmart/Pioneer/AnnieMac booth, located in front of the beer garden. Be sure to stop by and see what they have to offer. 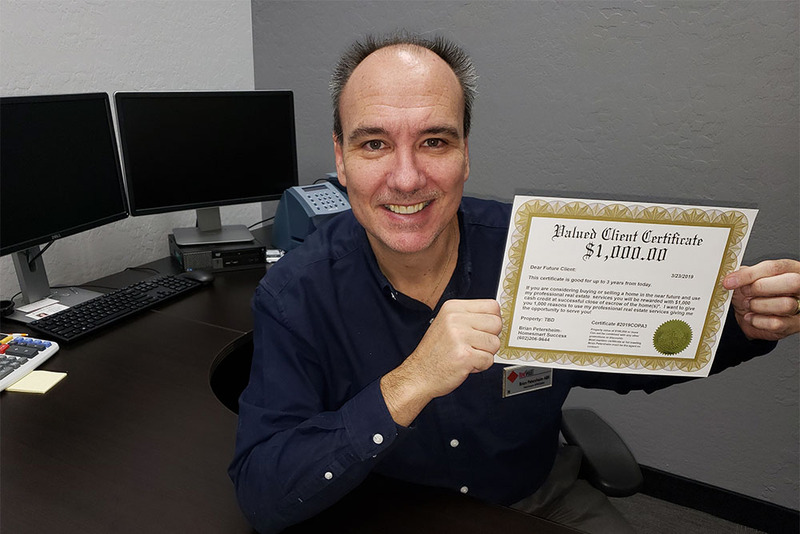 Anyone that would like a $1,000 certificate but won’t be at the Salsa Fest can reach out directly to Brian via text at 602-206-9644 or email at BrianPetersheim@gmail.com.